What Can Landlords Do About Tenants Who Pay Late? Chronic late payments may be grounds for an eviction, depending on where you live. In British Columbia, a landlord can serve a 10 Day Notice to End Tenancy if the tenant does not pay the rent. (Rent is not late until the day after it is due.) However, if the rent is then paid in full, the notice is cancelled and the tenancy continues. Alternatively, a B.C. 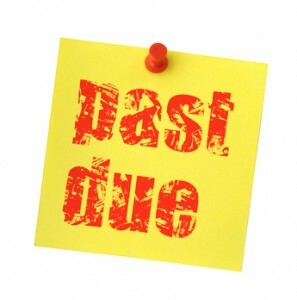 landlord can serve a 1 Month Notice to End Tenancy for Cause where the tenant has been late at least three times. In Alberta, a landlord can file notice to end a tenancy for “substantial breach” of the tenancy agreement, which includes a tenant who consistently fails to pay the rent on time. Likewise, Ontario landlords do have the right to pursue a termination of the tenancy for persistently late payments, however, there is a long notice period. You will have to look at your provincial rules, or contact a legal specialist, to determine if being late 30% of the time is grounds for you to seek an eviction order. But you also have to consider the practical side. An eviction will take some time, and the tenant may decide to stop paying altogether, or do damage to the rental property. If it is possible to talk to the tenant and work something out short of an eviction, that could be in your best interests. Reminding the tenant that you will need to provide a reference to his or her next landlord could provide incentive to pay on time. Not laying down the law from the beginning of the lease about when rent is due, no exceptions. Allowing several late payments in a row without any action. Not depositing tenant rent cheques right away – tenants interpret that as a sign the landlord doesn’t need the money on time. It is also important to treat all late paying renters the same way to avoid the appearance of discrimination. An easy way for landlords to curb late payers is to set up to Report Tenant Pay Habits with Tenant Verification Service. All rent payments are reported, and if a payment is late, the tenant will have to account for this poor rental history when it comes time to find another place to live. Good tenants receive the reward of a Certificate of Satisfactory Tenancy to show to the next landlord. Many of the provinces allow the tenant and landlord to agree to terminate the tenancy. Sometimes landlords pay a small sum of money to the tenant — called “cash-for-keys”, as incentive for the tenant’s agreement rather than incurring the expense of an eviction. This option works best in a good rental market, where you are not likely to have a prolonged vacancy while you look for a new tenant. In the case of tenants being constantly late, make sure you document everything to show proof later of this being a consistent practice of the tenant. If you are providing eviction notices to them each month be sure to hang onto all the eviction notices as further proof if you have to go to court of the problem.